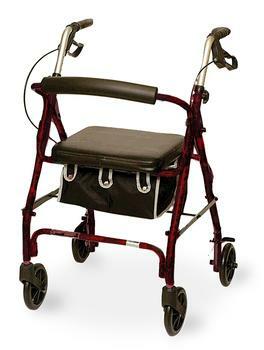 The Junior Rollator is convenient and reliable and great for everyday use. 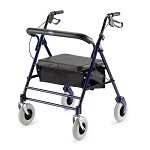 This rollator is constructed of lightweight aluminum and weighs only 12 lbs. 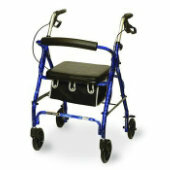 Padded backrest and easy fold seat provides comfort when you're out and about. Cloth, storage basket is conveniently located underneath the seat. Loop style hand brakes are easy to grip and lock. Height adjustable from 29” - 34”. 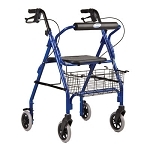 Stylish rollator is available in blue flames or burgundy flames. Height: Adjusts from 29" - 34"
Width (wheel to wheel): 23"